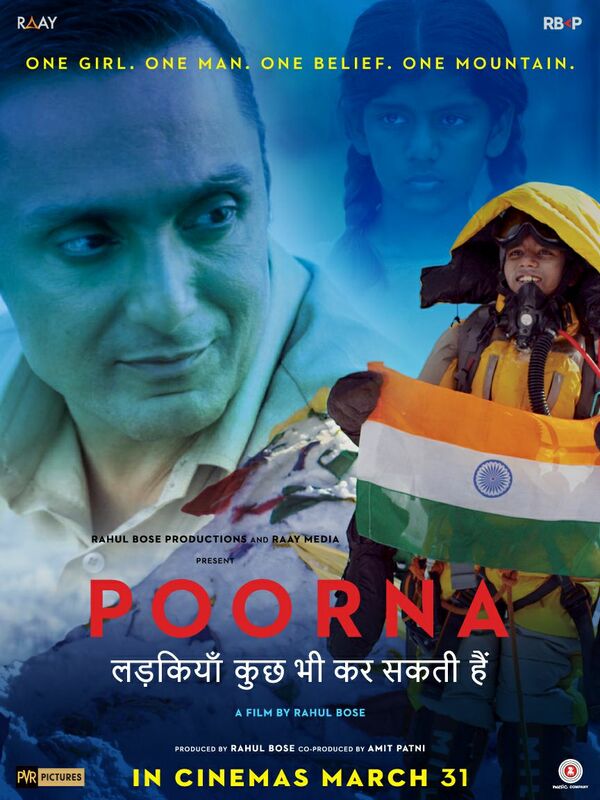 Rahul Bose’s Poorna has been creating the right noise with its inspirational content. The actor-director Rahul Bose has made an inspiring and motivational film on the journey of the 13-year-old girl, Poorna Malavath, who created history by becoming the youngest girl to scale Mt Everest on May 25th, 2014. The makers have been hosting screenings of the upcoming movie, Poorna, for the who’s who of B-Town and have been receiving an amazing response across screenings. A special screening was hosted for the Honorable President of India, Shri Pranab Mukherjee, at Rashtrapati Bhavan and the president was completely moved by the biopic. The makers also held a screening held for our very own Indian cricket team in Pune. The movie received an overwhelming response by all present for the screening, from Anil Kumble, Virat Kohli, to Sanjay Bangar, R Ashwin, Ishant Sharma, Ajinkya Rahane, Bhuvneshwar Kumar, Cheteshwar Pujara, Umesh Yadav, Abhinav Mukund, Karun Nair, K L Rahul, Wriddhiman Saha, R Shridhar, Patrick Farhat, Anil Patel, Ravinder Jadeja and Jayant Yada. Rahul Bose recently unveiled a new poster of the movie which has creates immense intrigue and anticipation towards the movie. The poster reads, ‘One Girl. One man. One Belief. One Mountain’ which tells the audiences more about the movie. Previous articleSalman Khan’s Tubelight Is Already Proving To Be A HIT Even Before The Release!